Once a survey has been created and dispatched, a query can be built based upon the responses. The query simply outputs a list of all people who meet a particular criteria in the form of CSV. The page will then refresh and you will be able to build your Survey Query. 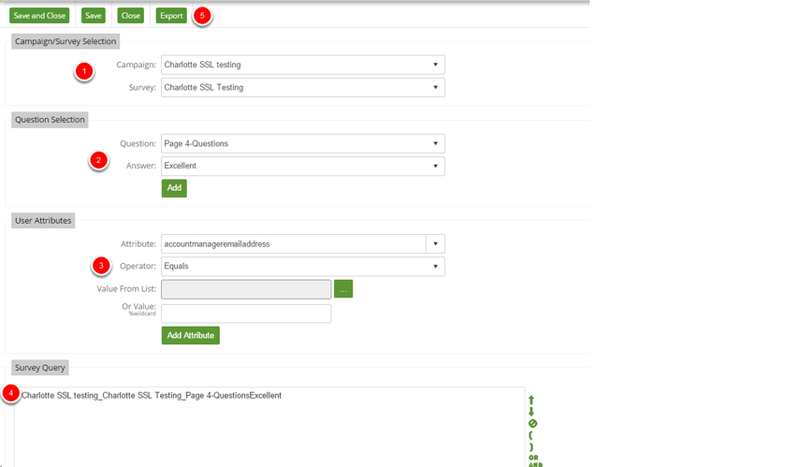 Once the page refreshes after adding a Survey Query you will be displayed with the above page.